Building your Statement of Work is the foundation for the rest of your project. It's also the sales proposal, or at least it should be, since it will take each milestone and requirement into account when estimating the number of hours and a price. 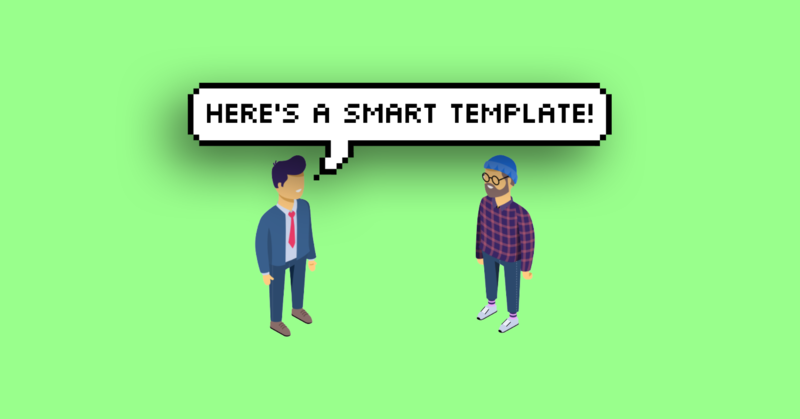 This article will provide you with a template and examples of how to build a smarter Statement of Work using a project management tool like Forecast. Scoping is basically your Statement of Work (SOW). You can make it as high- or low-level as you prefer. Doing the SOW directly inside of your project- and resource management tool has many benefits. First of all, you allow for a more collaborative workflow, and by entering milestones and tasks into your project management tool, you avoid double work by not having to do it again afterwards. Secondly, managing your SOW digitally, will allow for a more accurate estimation of hours and price by using new technologies to assist you in estimating better. Lastly, collaboration is enhanced by sharing one task across team members and teams. Better collaboration means better and more seamless implementation. The structure of your SOW may differ depending on the nature of your project. Below, I'll share a few examples of how it might look. The simple visual above is an example of how you might want to share the sales proposal with your client. Those three are milestones on your roadmap. Price should of course include the profit margin you wish to make, since, naturally, you might not want to share the internal cost of your project with your client. Expanding the milestones will unveil a slightly more detailed explanation of tasks at hand within each milestone. Below is an example of how this might look. The screenshot above shows the milestone for Version 1.0 of the Mobile App. This example has kept tasks on a high-level, and thus it won't appear as granular, i.e., actual tasks. This keeps your SOW to the point, and ensures that your client feels informed, but is still kept at a level of detail which is relevant to them. However, going more granular when preparing your SOW can greatly improve estimates and more accurately suggest you a minimum price of each milestone, and the project altogether, of which you can add your profit margin on top. At the same time, tasks created in Scoping can easily be moved along, and thus the more details you add here, the easier it is to get started later. An example is shown below. Speaking of price, as you finish planning your milestones, you can easily see the totals of each milestone, or the complete project, at the bottom and extract the numbers you need for your SOW. An example of project totals is shown below. After the negotiations with your client, you can easily move your tasks straight into the Workflow to be implemented by your allocated team members. You decide whether to build based on a prioritized list of to-do tasks (i.e., the Waterfall method), or move chunks of tasks into Sprints (i.e., the Agile method), to internally plan the implementation and focus your team's shared work onto a specific selection of tasks, e.g. the Sprint of Version 0.5, all leading to the implementation of the full milestone, Version 1.0. The screenshot above shows the Sprint of Version 0.5, leading towards the milestone, Version 1.0. Preparing your SOW, it might be convenient to include a visual roadmap or timeline of how the project is planned to progress. Based on the milestones setup during scoping, you can easily create a Gantt chart with start dates, deadlines, durations, etc. Forecast makes that even easier by doing it automatically. You can adjust the dates of each milestone and task using your mouse. Take a screenshot of the timeline and include it in your SOW. This is a neat trick if you work with many similar projects, which might very likely be the case in an agency. 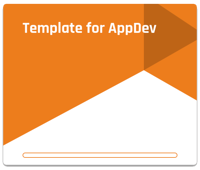 Creating a template based on a current project is super easy. In the future, this will allow you to duplicate the template to create another project with the same tasks. You simply open the project, go to Settings, and click Duplicate Project. Then in an instant, you're ready to schedule your team members, assign tasks, and just get cracking. You can always adjust the scope and tasks to each project's specific needs, but at least you'll have all the foundational tasks already figured out. As you initiate the implementation phase of your new project, the Workflow will function as your new workspace. 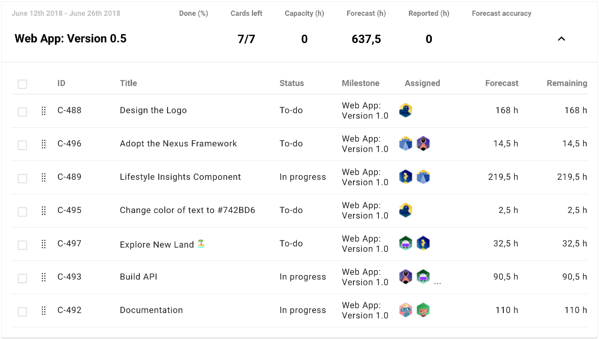 Your customized progress columns, to-do, in progress, done, will keep track of current status, and everybody will be able to see the tasks at hand right now, collaborate, and share information with their peers. During your project you might want to create additional tasks, or change the scope slightly, but beware of potential scope creep. Scoping in Forecast can once again be a great advantage. Creating a new milestone and using the approval feature will let you scope an extra milestone for your extended sales proposal, but at the same time it is kept separate, and not moved to implementation in Workflow before it is finally approved by a project manager. The final thing you might want to do is keeping an eye on the budget and insights made available to you. Adding a fixed project price, i.e., your agreed price, will let you continuously follow how the project is doing compared to the budget left in your pocket. Greatly improving transparency and staying on budget. Custom insight reports lets you follow the progress of your project with ready-to-use insight components. The reports are even shareable through a password-protected link, and just like that, keeping your client up to the minute became a whole lot easier. We hope this article has been beneficial to you. The Statement of Work is the foundation for the sales proposal, for the agreement, and for the entire project itself. Usually, it is a quite time-consuming task to setup a proper SOW, but hopefully some of the examples given in this post can help you get through the process quicker. Digital scoping, estimations based on your company history, and templates to create similar projects in no time are all super useful tips and tricks.